In a four-part series, Ms. Moore provides practical strategies and dissects why those strategies are effective. Read the first post at: https://www.origoeducation.com/blog/using-the-right-problem/ . 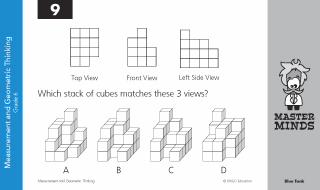 The article also links to ORIGO insights Resource Hub for downloadable problem-solving tasks.